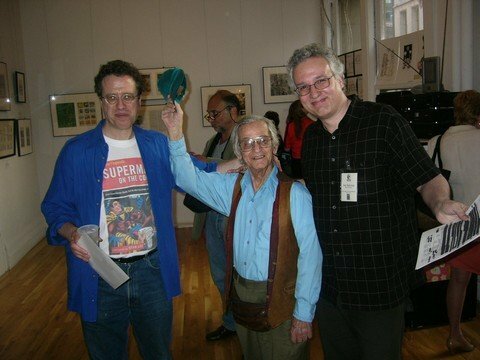 Ladies and gentlemen, I give you Professor Daniel Fingeroth and Professor James Salicrup, flanking their esteemed, learned--and not to mention, AGED--colleague, the world-famous Professor Irwin Corey! Well, we've managed to transfer a lot of the files and duties from the master computer on over to my handy-dandy laptop, though we've yet to set up the scanner and Photoshop for use through the smaller machine. Soon, hopefully. For the time being, however, we'll be light on graphics here at Hembeck.com (sorry, Jim...), but I'm sure it won't be for very long. In the meantime, bear with me as I attempt to adapt to these change of circumstances. Today, I've written a follow-up to some of the interesting things that went on during our Anniversary celebration a few days back, but it's a tale that, for reasons that'll soon become obvious, is better told over on my parallel Beatles Blog, so go take a look, okay? This is just a short note to inform you all that we're experiencing some technical difficulties here at Hembeck.com. Our main computer is acting up and Lynn is currently investigating ways to bring it back into line. This note comes through the laptop -- which I'm also using for e-mail and surfing the net -- but it isn't the optimum method for posting, so until we get the main machine fixed (or the laptop set up to do the website) you may not see many new entries here. I just didn't want you to think I had forgotten about you all! Wish us luck, and hope to see you all soon! 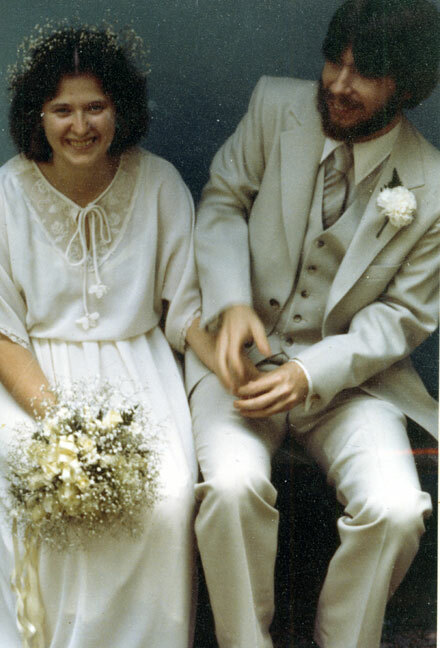 25 years ago today , those two crazy kids, Lynn Marie Moss and our own Fred G. Hembeck, after a 5 year courtship (okay, okay--so we were living together for a bunch of that time--let a guy employ a euphemism peacefully, why don't cha?... 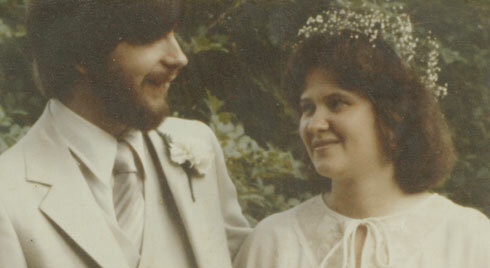 ), finally made it official (much to the relief of various family members) and got hitched! Or, as the Big Red Cheese himself might've put it, "Holey moley! It's matrimony!!" There's always that implicit danger when you sit down and watch a baseball game on the tube. As a matter of course, the announcer de jour, in an attempt to maintain viewers interest during the countless lulls riddling your typical nine-inning contest, will invariably launch into an intriguing topic of conversation with his partner in the booth, only to then have the game suddenly get in the way of their dialog via something exciting actually happening on the field! A prime example of this anecdotus interruptus occurred just the other day during a Mets-Tigers telecast. To replace Lindsey Nelson, the Mets hired Steve Albert, younger brother of the famous--and later, infamous--Marv Albert. I didn't see altogether very many games that year, but I don't particularly recall Marv's sibling setting the airwaves on fire. Turns out, I wasn't the only one who was underwhelmed: during that season, the notorious NEW YORK DAILY NEWS ran a regular feature in it's expansive sports section entitled "The Nose". As the Mets came up to bat, with Kiner handling the nuts and bolts of the play by play, Steve Albert gravely announced that he had some choice words for his anonymous tormentor, The Nose. There was a palpable bitterness in his voice that couldn't be missed. He was approaching his subject deliberately, but the rising tenor of his words clearly denoted a long suppressed rage. Meanwhile, the first batter had quickly flied out, while the second had knocked a hard hit single past the shortstop, arriving safely at first base. Or something like that. The important thing was, one out, one on, events reported to us by the ever-professional Kiner, who seemed to want nothing to do with his junior partner's impending rant. "It's a one-hopper to the second baseman. He shovels it over to the shortstop for one out, and then back to the first baseman for an inning ending double play," Kiner exclaimed. "Bob Murphy will join me for the play by play in the seventh inning, right after this commercial message..."
We weren't destined to find out the following spring, either. Steve, y'see, was no longer part of the team. He was replaced instead by short-lived booth-man number three, Lorne Brown (who I always felt was somehow a long-lost relative to the more celebrated Lorne Greene...), so Albert wasn't able to open his initial Spring Training announcing stint with, "As I was saying..."
Hey, you don't think maybe The Nose has subsequently relocated to Beantown, and that's WHY Bonds wants no part of Boston, do you? Just over a year ago, I asked the question, "Who was Leon Lazarus?" Well, who could've ever expected that my stupid question would be provided a snappy answer from none other than Al Jaffee himself! If you check out the June 2003 "Fred Sez" Archives--specifically the entries for the 10th and the 13th--you'll find the original piece (and its follow-up) wherein I examine the handful of writers who, along with younger brother, Larry Lieber, scripted Marvel super hero tales between the advent of FANTASTIC FOUR #1 in 1961, and Roy Thomas's early 1966 debut, which heralded a fresh infusion of writing talent into the new-fangled enterprise, for editor Stan Lee. Most of these gents worked under pseudonyms, and one of the main points of my reflective look back was an attempt to try and determine, with the help of you readers, just WHO these folks actually were. Some I knew already, but by the time it was all over, I'd learned the secret identities of the once-anonymous H.E. Huntley (Ernie Hart) and N. Korok (Don Rico). In fact, together, we'd sussed out the true noms behind ALL the plumes--all save one, that is: the aforementioned Leon Lazarus! Because, with a name like Leon Lazarus, you just KNEW it had to be a fake, right? But none of you out there seemed to know the true poop, despite my repeated queries (not to mention pathetically geeky tone), though some enterprising (if sadly forgotten) correspondent ventured that it could've well been the King of Pen Names himself, ACG's editor/writer, Richard Hughes (A/K/A Shane O'Shea, Zev Zimmer, Ace Aqulia, and Laficdio Lee, to name the first handful that pop into my head) hiding behind yet another false front. 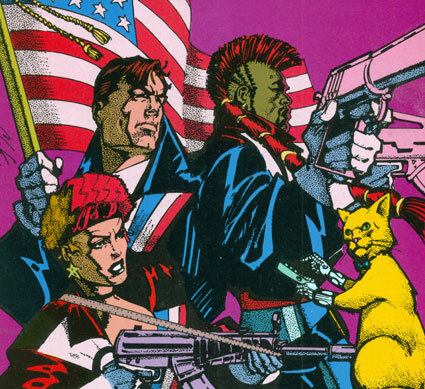 I can easily see where this notion originated: the alliterative initials for one thing, and maybe the fact that ACG occasionally used an artist named Harry Lazarus, made this an appealing, if wholly undocumented, and mildly confused, theory. However, knowing that, in late 1964, ACG was still several years away from shutting down shop, and that there were some arcane business ties to rival National Periodicals (DC Comics, folks) ultimately made the idea of Hughes ghosting for Marvel seem highly unlikely. So, I reluctantly scratched Lazarus off of Richard E. Hughes long, long list of alternate identities. I still didn't know who Leon Lazarus was, but it suddenly hit me regarding who best to ask: Roy Thomas. 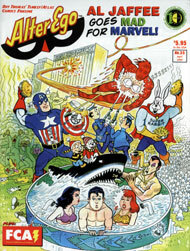 So there I was, a few nights ago, casually reading a very enjoyable, very in-depth interview with cartoonist Al Jaffee in a recent--albeit not the current--issue of Roy's fine ALTER EGO magazine, #35 (April 2004). Al is justifiably world renowned for his long-running, cleverly constructed MAD Fold-Ins (as well as one of THIS fan's all-time favorite recurring laff-incurring features, "Snappy Answers To Stupid Questions"), but years before he hooked himself up to the Gaines gravy train, he was a cartoonist specializing in funny animals and teen oriented titles for Timely Comics (one of Marvel's earliest incarnations, for all you newcomers out there) in the late forties and early fifties. And not only did he write most of his own material, for several years there as the forties came to a close, he edited their entire teen line as well. It was at this point in Jim Amash's thorough overview of Al's time toiling for Timely that yours truly, reading pleasantly along, lips moving only slightly, nearly fell out of his chair. As Al's fascinating reminiscences of those long-gone bullpen days flowed out unabated, bolstered by details aplenty, suddenly the name of Jaffee's assistant in the teen arena just slipped out. Leon had his assistant position before Al got his editorial post; Leon read through all the submissions, weeding out the junk and only passing on the worthwhile material to Jaffee; and Leon had mastered the ability to improve a six pager with just a few judicious edits. Plus, Al really liked the guy. Basically, Jaffee found him indispensable. But beyond that, nothing is revealed. What did he do before and after working with Al? How'd he even get involved with the field? What else did he work on? How long did he stay in comics? And when did he leave, not counting his 1964 cameo? Now that his existence has indeed been confirmed, I still want more, lots more--I want his entire history, in fact, and Jim Amash, you're just the man to ferret out the facts! You mean, young, hungry neophytes somehow managed to work their way into the system, all the while displacing the more seasoned, experienced professionals--how could that happen? Well, folks, believe me--that's ONE stupid question even Al Jaffee doesn't have a snappy answer for. I think we all know by now, it's just the way things go. And if you doubt me, just ask Leon Lazarus. Geez, a guy make's ONE mistake by not checking the calendar, and suddenly every pint-sized, tousled-haired cartoon cut-up is ragging on him! Why don't you go bother Mr. Wilson, or do something useful like teach Joey a couple of swear words or something, huh kid? Now that it's finally here, let a guy enjoy his day, willya? So, Happy Father's Day to all, and say a silent prayer when you have a moment to the patron Saint of sufferin' dads everywhere, good ol' Henry Mitchell--and remember, HIS kid stayed five forever! Gee, you suppose that means I'M gonna haveta, also? Very, very hectic around these parts lately. And why not? That's the way things always play out the last week of school. Yup, Junior High is over and done, save for some finals that are scheduled for after the last official day of classes--which would be, incidentally, TODAY. Lynn and I are going to Julie's Moving Up ceremony later this afternoon, so in lieu of some of the topics I'm hoping to write up and post soon, I'm presenting you instead with this stall memo! ...Ah, y'know, I was sorta wondering why no one had wished me a Happy Father's Day earlier this morning, and I admit to've been holding out some meager hope for a nifty gift when Lynn and Julie came home from shopping later, but--YIKES!--I just happened to take a quick peek at the calendar, and I shamefacedly discovered Ye Oldde Dad's Day is actually NEXT Sunday!?! Oops. Sorry about that. File this gag away in the back of your mind, if you would, and then dig it out again seven days hence, okay? I was driving Julie and her pal Deanna home from the local Galleria yesterday. It was around 5:30 in the afternoon, and they were chattering excitedly in the back seat about the new outfits they had just purchased for several various and impending end-of-the-year school functions. This worked to my advantage in that, being as engrossed as they were in their own conversation, they didn't think to pester me to change the radio station to the one they generally prefer. You know, the one with all of today's hits, the non-stop ca-chunka-chunka beat, and nearly every third or fourth word bleeped out? Yeah, THAT one. "Georgia On My Mind" by Ray Charles. Larry wrote a short but heartfelt tribute to the man in the body of his letter, and I guess this is mine. I can't honestly say that Ray was one of my favorite recording artists--when it comes to soul, my tastes lean more to the sweet than the gruff. Smokey, not Ray, Al, not Otis. But that's just a personal preference. I certainly was well aware of the massive impact Ray Charles made on popular music, particularly in the fifties and sixties, and when you stop and think about it, you've just gotta be in awe of his contributions. With songs like the aforementioned pair--as well as "Busted", "Let's Go Get Stoned", "I Can't Stop Loving You", and most especially "Hit The Road Jack"--even someone not as well versed as they should be in his back catalog such as myself has GOT to appreciate the immense talent necessary to create those masterpieces. It's a little hard to believe he's gone. And it's a little hard to believe he was only 73 when he left us, because it seems like Ray Charles has ALWAYS been around! Sure, as the years wore on, he somehow became more famous to a whole new generation for appearing in Pepsi commercials, but early on, he even predated my own blossoming interest in music, which flared up in the initial months of 1964. 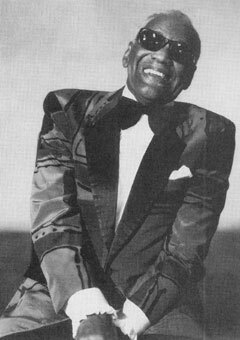 In fact, there was actually a big, big hit that spring called "Love Me With All Your Heart", and it was credited to the Ray Charles Singers. It sounded far more like the MOR stylings of the Ray CONIFF Singers than any moonlighting Raylettes, and even the thick-headed kid who once thought Betty Grable was somehow related to Clark Gable HAD to instantly realize that there definitely were TWO Ray Charles in the music biz, because, folks, no way could the fellow responsible for "What'd I Say" be in any way the SAME fellow responsible for THAT song!?! And all over Who-ville, they whooped up a racket. They beat on brass pans. on garbage pail tops, and old cranberry cans! Screeching guitars and thundering basses, they weren't ever going to be fooled agains! They rattled and shook the whole sky, and MOJO stopped a minute to examine this special Who. 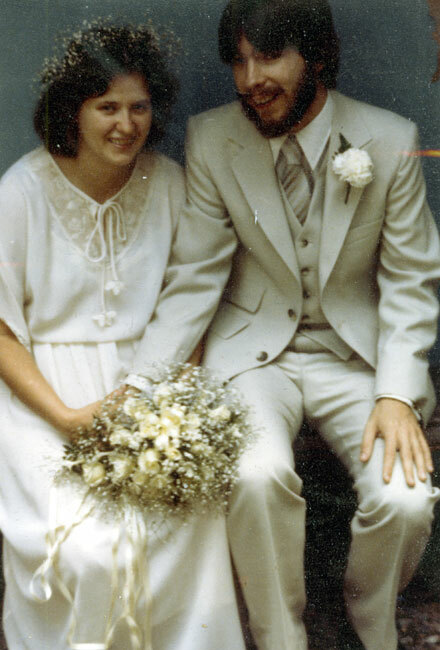 "Huh, forty years", they pondered. And on a related musical note, if you're the least bit curious to learn exactly which 8 new songs Paul McCartney has added to his set-list on his current European tour--as well as my cogent comments on these fresh selections--well, just click here, and before you know it, said info will be coming up on your computer screen! Yeah, there's never any shortage of outrages for us hapless human beings to wring our collective hands over. It's a nasty world out there, no question, with an awful lot to get justifiably steamed about. And if we have any empathy at all, we do. But eventually, the many miseries of mankind produces an unavoidable overload that tends to overwhelm even the most sympathetically massive of hearts, and a funny thing happens--the importance of these concerns diminishes and that of undeniable trivialities expands. Hey, it's just human nature. Which is merely my long-winded and quasi-philosophical way of informing you that, yes, I'm well aware that the situation I'm about to complain at length about is, in the overall scheme of things, about as insignificant a problem as you can find. Doesn't matter. It stuck in my proverbial craw when I initially became aware of it back in 1988, and sixteen years later, it STILL annoys the @#$% out of me. That's right, people, I'm bitter about a coloring mistake, bitter and resentful. Still. Look, it's not just ANY coloring mistake, okay? 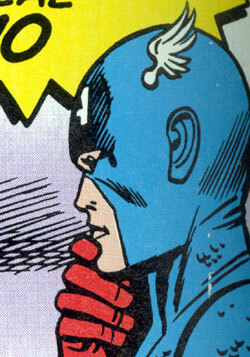 It's Captain America's EARS, fer gosh sakes! At the time when this book originally shipped, I'd probably read virtually every comic the so-called Sentinel of Liberty had appeared in following his 1964 defrosting on up to that point, and I don't recall a SINGLE instance of his fleshy pink ears ever being miscolored blue!! Not once! Maybe it happened, but if it did, it was but a stray error hidden off in some mercifully secluded panel. In this pricey, carefully assembled collection (HAH! ), however, it's the rule, NOT the exception. The culprit? Well, the hues are credited to a very nice young woman by the name of Janet Jackson. No, not THAT Janet Jackson (though she might well've done as swell a job--if not better--slopping the tints on our WW2 Legend, even with LaToya's rehearsal wailing distracting her in the background...). THIS Janet Jackson was someone who, if memory serves, went on to be closely associated with several of Jim Shooter's latter ventures, post-Marvel. Fact is, I recall meeting her at some comics convention or another, and she was certainly a pleasant enough individual. Obviously, our meeting occurred BEFORE this MASTERWORKS debacle took place because, gentleman or no gentleman, it would've been pretty darn difficult to contain myself otherwise, lemme tell ya!?! Yeah, yeah--I'm making a lot of noise about a minor infraction, granted. Hey, I already admitted as much. But, by golly, the ol' Avenger has pretty much been my favorite costumed character since he first turned up in that landmark fourth issue of THE AVENGERS. And if Marvel--then or now--wants me to part with significant coinage for one of their overpriced, gussied-up reprints, then the least I could--and can--expect from them is a decent job overseeing the assembling of said reprints. 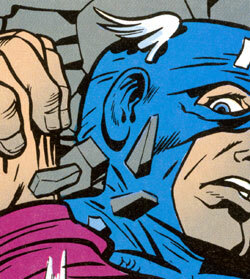 In other words, here's your FIRST clue--Daredevil: red ears, yes. 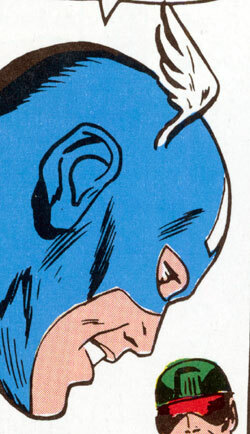 Captain America: blue ears, no. A thousand times (or at least 182 times) NO!! 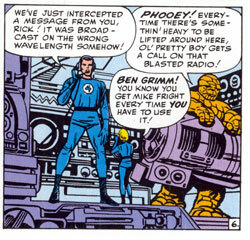 Remember that panel with the Fantastic Four in it that I ran the other day? The one I challenged you folks out there to decipher the origin of, as well as the personal significance it held for me? Well, it was hardly a major-league stumper for the likes of the well-read individuals who haunt THIS site, lemme tell ya, but the very first one to chime in with the correct answer(s) was one Jonathan Miller! As so many of you seemed to recall--and thanks to all who took the time to venture their guesses--Thor's evil half-bro, Loki, worked his black magic in such a way as to trick his semi-sibling into believing the Hulk was responsible for a trumped up near-disaster that the Asgardian, in fact, had actually caused, hoping in turn to incite the pair into throwing down for a battle royale. However, Banner-buddy Rick Jones, gets wind of the Hulk's uncharacteristic actions, and naturally, attempts to contact the F.F. for help. Who else, right? 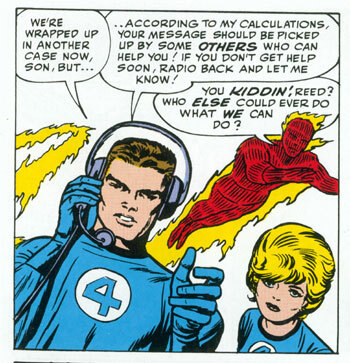 The point is, there really WAS a cohesive Marvel Universe, and this small but entirely logical appearance by Reed Richards and associates--the other two-thirds of which you'll find nearby-- clearly indicated that. What can I say? It made a strong impression on me, fanning the flames of my devotion to the emerging House of Ideas to a white-hot level, stoking the fires of my life-long geekdom. And then, seeing that panel the other day, well, it brought it ALL back. I just saw that neat little cross-over, and felt the sudden urge to plaster it up there on the screen for all to see. 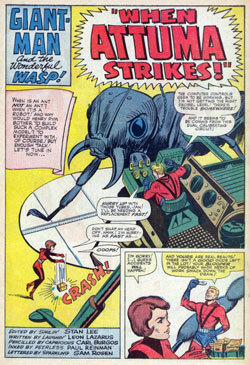 The same folks who were responsible for the then-recently published Dr.Doom/Ant-Man two-part escapade in F.F. 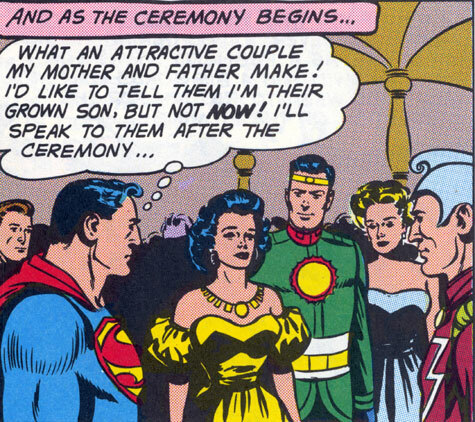 's 16 and 17 were now shoehorning my favorite characters very naturally--but quite uniquely, for the era--into the first issue of their JLA-like hero roundup, and that was, back when I was a wide-eyed 10 year old in 1963, a GOOD thing, a VERY good thing. THAT'S the feeling I got seeing those old panels, and sentimental old softie that I am, I just felt the need to share the thrill--however trivial it may actually be in the grand scheme of things--with you folks. And speaking of sharing, today's a particularly special day for a good friend of the family, and you might be interested in taking a quick look at a brand-new NEW illo done by moi especially to commemorate the event. 12 girls signed up, 12 girls paid their $10, 12 girls showed up, meaning--shock of shocks--we actually had an extra player to substitute into each game. I say "each" because we played four, each 18 minutes long apiece, each against a different opponent. Because 9 teams were competing in our age group, the schedule went something like this: we played our first contest at 1:20, took 20 minutes off, played our second at 2;OO, followed by another 20 minute break, then our third go-round at 2:40, and then--an hour off? Well, that was the plan, but for some reason, things got pushed back ANOTHER 20 minutes, meaning we didn't commence our fourth and final game until at 4:20--and did I mention rain was in the forecast? The good news is that the raindrops were sporadic at best, and any of the several times the drizzle began to pick up speed, the moisture would each time stop entirely soon after. So, despite the threatening forecast, overall, the weather wasn't nearly the disaster it looked to be going in. And I'm happy to report, neither were we. No, we didn't pull off some "Rocky"-like miracle and win all four games, but we didn't embarrass ourselves either. First game we played the team we weekly share a practice field--and a regular scrimmage--with. They beat us 1-0 back in the fall, so I thought we might have a chance. We did. Final score, 0-0 tie. Then, as the clock was running out, one of our girls went down hard, having been knocked flat by a player on the other team. Nothing illegal, mind you, but enough to bring a few tears to her eyes, and the need of some assistance getting off the field. She's one of our hardier players, so if she reacted this way, I knew she'd been hit good. After we helped her to the sidelines, I turned around only to see that all the players from both squads were coming off the field. The referee said we were actually about 40 seconds over the limit when the action had stopped for the injury, so we might as well just call it. Fine. Too bad my player had to get hurt as we went into some unscheduled overtime, but happily,she was already recovering over on the sideline. Her foot hurt a little, no question, but she'd be okay, that much was obvious. And that, it seemed, would be that. The other coach approached, and just before we did the customary line-up where each team high fives their opponents, muttering "good game" with all the enthusiasm of Ted Kennedy applauding during a George Bush State of the Union speech, he suggested we decide this game once and for all with a shoot out. His girls had proposed the idea, and it wasn't hard to see that they all seemed absolutely giddy at the notion. I turned to my girls and asked what they thought. Almost to a girl they said "no! ", but in a rare instance of inspired leadership, I thought about it for a second or two, and said, okay, sure, we'll do it--why not? We took the first shot. A miss. Their turn. Bingo--a goal. They're up, 1-0. Next, we miss again. Luckily, they miss their second shot as well. My best kicker, Kristin, powerfully propels one past their goalie, and we're even, 1-1. Their third shot hits the goal post and ricochets foul. We miss our fourth shot. Our goalie catches their fourth. Now, it's time for our fifth and final shot, but by this time, Christina realizes her foot is too sore to do the job properly. She turns to another player--ALSO named Christina, and asks her to take her place. So when she stepped up to the ball, I was hoping for maybe a little of that power I've spied lately, and--BOOM!--Christina ran up to the ball, and lifted it straight up and over the goalkeeper's outstretched arms but within the netting!! --and Kelli jumps up, fends it off with her hands, and, yup, we win, 2-1!! Now the girls could REALLY celebrate our first actual victory of the year, and I gotta tell ya, I felt happiest for Christina, a great kid who's worked hard to turn herself into a solidly dependable player, and who, given the rare chance to be the hero of the day, came through brilliantly! It's been a rough, rough season, but moments like that are what keep you going. It was swell to win, but it was particularly gratifying exactly HOW we won. The other team? The ones oh-so-eager to challenge us to that shooting match? Well, they had some of the longest faces I've seen in a long while as we did our delayed obligatory hand-to-hand congrats, and y'know, maybe we were a bit TOO happy, but hey, it's been a long coupla months--let the kids enjoy themselves, okay? Our day was over, save for the presentation of the standard--if somewhat chintzy--trophies each member of our team was to receive for their afternoon's efforts--AND their ten spots! No, we didn't get the biggest ones, but--hip hooray!--we didn't get the SMALLEST ones either! We came in third, third out of four teams, and while that may not be enough to satisfy the George Steinbrenner's of the world, for one afternoon, anyway, it was enough for us. And if you're the first to identify just WHERE this panel originally appeared and venture a reasonable theory as to WHY I treasure it so, well, I'll throw proper credit your way when I follow up on this happy little mystery a few days hence, okay? Okay, so I made a mistake. So what else is new? "You totally missed what happened to Chase. Jack chopped his hand off at the wrist, then slid the device over the stump. He didn't cut off the arm up near the elbow!" Remember that deadly virus? That highly contagious virus? And how it was unleashed into an large LA hotel overnight? Killing lots and lots of people? Well, what I forgot about was this one guy. Y'see, he was in the hotel with a women he'd met only hours earlier, because, well, you know. And being that he's married and all, he very quietly slips out on his erstwhile lady friend in the middle of the night--AFTER the contagion had been let loose into the air ducts, but BEFORE CTU agents had a chance to seal off the immediate area. By the time his absence is noted, he's already back home, sneaking into his apartment, lame excuses slipping off his lips--and soon enough, blood flowing out of his nose! Yeah, he's got it alright, and before long, he's stopping by the local pharmacy, vainly looking for a cure for his strangely unrelenting nosebleed. Well sir, CTU eventually locates the poor sap in a local ER, but by that point, he's probably infected at least a dozen people, maybe more, and the way the virus was engineered to rapidly spread, well, most of LA would be grabbing for their nose hankies in no time flat if something isn't done, and done fast! But, we last see Typhoid Murray several hours before this season's day is finally out, and there's absolutely no mention of the potential disaster this adultering SOB represents to the LA area--and the country as a whole--as this edition of "24" wraps up!?! And what do we learn from all this? Simple. Don't ever cheat on your wife--it'll KILL ya! Thanks David--appreciate you clearing up my all too typical confusion! Well, I don't believe I have anything particularly interesting to add. In fact, the poster itself is what's truly fascinating. And I certainly remember that poster -- except I didn't have one!?! I believe Stan had it in his office. 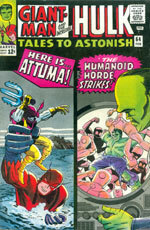 So, back when David Anthony Kraft was editing FOOM, I somehow came up with a way for us to finally have a full-color cover on FOOM (that was the first one!) 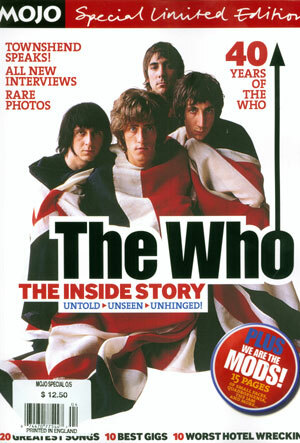 and a way to get a copy of that poster, albeit as a magazine cover, for myself. It was simply a matter of creative accounting -- since the artwork already existed, as well as the film, all we needed was permission to make copies of the film and the cover was ours. So, the cost of a full-color cover was less expensive than commissioning new art and two-color separations. Marvel was willing to do almost anything if you could show 'em how to do it cheaper! As for the painting itself, how could I not love it!?! There was Stan the Man, becoming one with his super-hero stable of superstars! 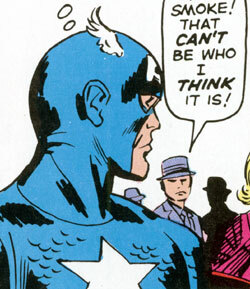 Also, to nitpick ever so slightly, Howard the Duck wasn't the only non-Stan Lee co-created character represented -- lest we forget, Captain America was created by Joe Simon and Jack Kirby. 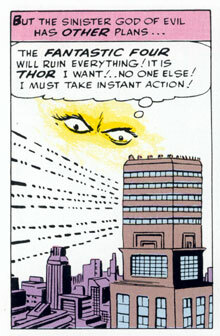 Furthermore, I do consider the Silver Surfer a Lee/Kirby creation. But I still love that poster! 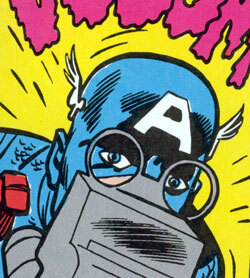 I made sure that image was used yet again on the Stan Lee trading card many years later. As for Arnie Sawyer, he runs a design studio that handled lots of work for Marvel/Fleer and Topps during the big trading card boom. I saw him not too long ago at one of the Big Apple conventions. Another poster I love, along slightly similar lines, is the great piece Herb Trimpe did for the infamous Stan Lee at Carnegie Hall. It was composed of 9 or 12 or more, I can't remember, cropped portions of various Marvel super-heroes' famous faces -- forming, puzzle-like, one powerful portrait of a composite Marvel super-hero. It may be in Les Daniel's Marvel book. And, hey, I even loved those Bullpen Portraits published by Marvelmania way back when -- the self-portraits of various Marvel artists at their drawing boards surrounded by their characters. Well, I better stop before I get even more carried away. Thanks, Jim! 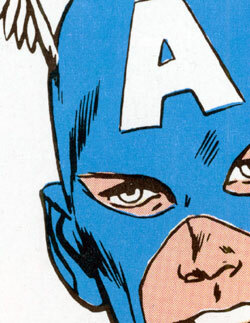 And yeah, I knew full well about Captain America's true origins--I just skipped over it in an attempt to not get too bogged down in explanations (a first for me, apparently), but I really shouldn't have been so cavalier with the facts. Sorry. Consider me shamefaced and repentant, and I assure you it won't happen again. I looked all through the Les Daniels book, but came up empty on that nifty Carnegie Hall poster you mention. However, Arnie's personable portraiture IS included--in trading card form, no less! You should be proud Jim, SO proud! 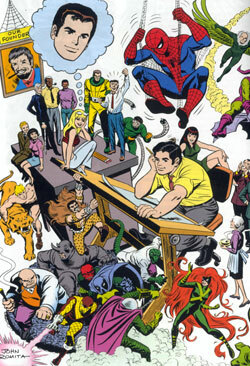 I DID manage to find one of those Merry Marvel Madman self-portraits you refer to--John Romita, the elder, as it turns out--and have thusly included a portion of it nearby. Those of you who enjoy the more generous selection of illustrations featured on this blog in recent months have Jim to thank, as it was mostly at his urging that I jazzed things up, visually speaking. 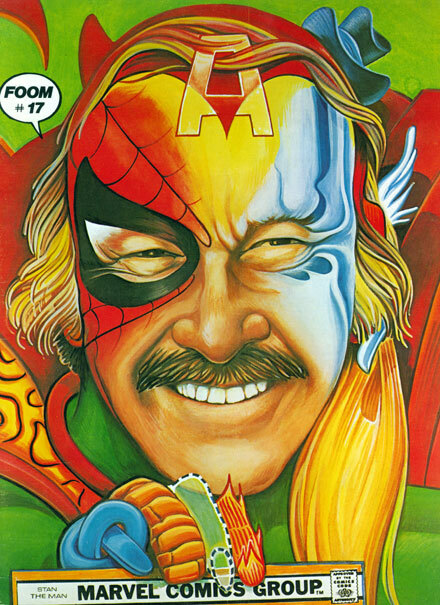 Odin help me, but I have absolutely ADORED this crazy painting of Marvel mogul, Stan Lee, from the very first moment I laid my poor li'l ol' eyes on it!! That would've been way back at one of those small, monthly mini-cons the late Phil Seuling regularly held in New York City during the seventies, most probably '74 or '75. This FOOM issue, sporting the piece as its cover, came out in late '76, but I clearly recall having had Arnold Sawyer's masterpiece proudly hanging on my walls for a considerable amount of time already by then. And, believe it or not, I STILL do!?! Back to our story, then. As I hovered around the area, hoping to overhear some memorable bon mots from one of my favorite pros, a pair of teenage boys sauntered along, eventually stopping in front of the table in question, and looked up at the poster plastered across the wall behind the sales till. They considered it for a few seconds, and then one turned to the other and muttered, "That's just about the ugliest thing I've EVER seen!.." Our man Howie apparently caught enough of this exchange to cause him to lean forward, and request that our junior art-critic repeat his assessment. "I said, that's gotta be the ugliest thing I've ever seen." "Well, don't tell me, " Chaykin said, a sly smile starting to play across his face as he pointed to the fellow sitting over in the next chair, "Tell him--HE'S the one who painted it, after all!" At which point, our roving critic virtually shrunk to Ant-Man-like proportions, his skin turning redder than that of the Vision's. I'm not all too sure Arnold himself was all that comfortable either, but it WAS a funny exchange, in a sort of nasty, Chaykinesque manner. Proving once again, ALWAYS be careful what you say when you're out in public--you just never know when Howie might be listening! You all know the premise by now, I'm sure--each and every episode purports to document one single solitary hour in the self-same 24 hour day, a day that, so far on all three occasions, has proven to be anything but of the ordinary variety. It's this tantalizing gimmick that initially peaked my curiosity, as this sort of affair isn't generally the sort of thing that I aggressively seek out for my viewing pleasure. But hey, once I started watching, I became hopelessly hooked. The unique format of "24" brings with it unique problems, understand. Look, just about every hour-long drama on the tube these days--at least, the handful that I watch--have, if not season-long story arcs per se, then at the very least, plot threads that weave in and out, advancing irrevocably during the months from September all the way up through May sweeps. "Smallville", "er", "Gilmore Girls", "West Wing", all the Joss Whedon shows and even the many "Star Trek" spin-offs--each week's episode may stand on its own (however wobbly) for the casual viewer, but ultimately, they're merely a single portion of a greater whole. "24", by very definition, HAS to be comprised of seamlessly interlocking parts. On "Angel", the gang may well find themselves ensconced within the confines of the evil law firm, Wolfram and Hart, at season's outset, their time working in the figurative belly of their long-time antagonists providing them with a journey of self-discovery, one that culminated with the series finale ending in a thrilling blaze of glory. Nice. But everything is built up slowly, carefully, deliberately. When one sits down to watch the latest episode of "Angel"--or, really, any of the fine series listed above--you might find yourself recalling perhaps several key details from a previous installment or two, but believe me, the whole blasted season doesn't necessarily flash before your glazed peepers! Oh, the things that happen! Chase, poor sap, winds up being tortured by the baddies, Tony Almeda (the acting head of the local CTU unit) takes a bullet in the neck, Nina, the woman who murdered Jack's wife at the end of the show's first season suddenly comes back into the picture as a representative of ANOTHER potential buyer--and that's all without going into the various travails, both personal and political, that President David Palmer is made to endure as he's simultaneously kept abreast of the unfolding threat the transfer of this plague into unfriendly hands represents to America. Just trying to explain all this is tiring me out. Suffice to say, for 23 weeks, some startling event would occur mere minutes--and sometimes, seconds--before the hour turned over, propelling the storyline ever ahead in some shocking and/or unexpected direction. As things devolved more and more into a glossied-up "Perils of Pauline"-type mindset, any half-hearted allegiance to the real-time format or semblance of a well-thought out over-view simply evaporated into the smoke caused by all that gunfire. Fact is, I read an interview with one of the show's creator's mid-season where he blatantly admitted that they didn't even consider planning out the entire storyline ahead of time, mainly because they wanted to have the flexibility of dumping characters that they perceive as not working. The fugitive de jour (or is that "de hour"?..) is finally tracked down and flees into a bustling middle school. The CTU agents soon pour into this erstwhile institution of learning, scaring students and teachers alike with their armaments and aggressive attitudes. Chase is the one who corners the creep in an empty classroom and, yes, fisticuffs ensue. Plenty of 'em. Eventually realizing that the crook has gotten the better of him, Chase grabs the valise and clamps it onto his wrist, making it virtually impossible for the evil emissary to take it away from him. 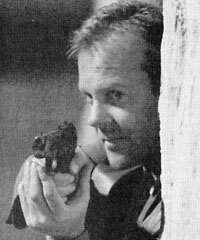 For some unknown reason, this action motivates the courier to activate the devices' timer, and then aims his pistol at the helpless CTU agent's noggin, but just before he can pull the trigger--BAM!--Jack arrives and shoots him dead. That taken care off, there's still that minor matter of preventing the deadly infectious disease from becoming airborne. Jack puts in a call to a group of his fellow agents, ones who've already successfully disarmed similar death-dealing machines earlier. Don't even bother to try taking it off the arm, Jack's told--it's made of titanium, man! But even though there are less than three itsy bitsy minutes left 'til detonation, not to worry. Just clip the red wire, Jack is instructed. Check--but it's still ticking! No prob--it'll stop for good once you clip the green wire, they assure agent Bauer. Only thing is, there IS no green wire on their very own, apparently personalized bio-bomb!?! And with time slipping precipitously away, both beleaguered CTU agents spy the axe hanging on the wall next to the fire extinguisher. Well, we ALL know what happens next--despite some initial misgivings, Jack does what has to be done at his partner's behest, and then runs madly down the hallway, only seconds away from certain doom. Wouldn't you know it though--luck is with ol' Jack as he conveniently winds up in an empty teacher's lounge, thrusting the device into a transparent--and air-tight--refrigerator with mere seconds before it all goes "pfffht". Which it does. The time comes up digitally on the TV screen: 12:46:33 PM. After a commercial, and a brief conversation between several other characters at another location, we're back with Jack again. He's standing--believe it or not--in a hospital corridor. The time is--again, believe it or not--12:53:21 PM. Jack's taking a call from President Palmer, and in the course of their discussion, we learn that Chase is already in surgery (! ), and while the doctor's can't say for sure yet, there's a swell chance that they'll be able to save his hand (!!). Okay, have you got all that? While the multi-tasking Jack WAS shown calling for medical assistance earlier as he sped down the hallway with the as-yet-unsecured-virus, this turn of events is SO jaw-droppingly impossible that you find yourself recoiling at its logic not once, not twice, but a stunning THREE times!! But just for arguments sake, let's pretend we buy that. Okay, fine. But swallowing that, I still began to wonder, what about that titanium device that was shackled to his dismembered member? How'd they get THAT off in (yes) EIGHT MINUTES?!? The only quasi-reasonable explanation that I could come up with is that, the hand being detached as it was, the thing just (ewwww) slid off. Unlikely, but, like, maybe, y'know?.. But with all that, I STILL find myself totally enamored with this crazy show, just not in quite the way I was originally. Mid-way through the first season, y'see, I'd eagerly go the the official "24" message board after each episode, lapping up the theories and commentaries of other mesmerized viewers with great relish and interest. Well, I haven't done that since the second or third week of season two, mainly because there's just no point in trying to figure out events that presumably haven't even been figured out by the show's writers as of yet. Realizing it's all being made up on the fly has definitely diminished my enjoyment of the show--and I know several friends who've abandoned it entirely primarily due to this disheartening little fact--but it still works for me purely on the level of a first-rate visual thrill ride. I'm alternately excited and exasperated at Fox's plans for the show's upcoming fourth season. Rumor has it that all of Jack's fellow CTU agents have been let go, save for daughter Kim, who had an unusually quiet year, only ending 3 episodes in peril this time around, none of which caused her all that much grief. Additionally, Fox isn't going to bring it back onto the schedule until January of 2005. January!?! That's seven months from now! 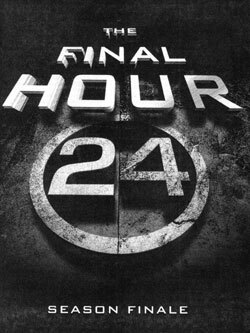 But hey, the GOOD news is, once it's in place, there'll be absolutely NO weeks skipped as the 24 episodes of "24" plow on through--and, in fact, in order to end during May sweeps, three weeks will boast double episodes!! No more Christmas breaks, or the seemingly endless five weeks off during the months of February and March like they tortured us with this year! (As a postscript, I should mention that between writing the first draft of this piece and tidying it up for posting, I forced myself to watch the final two episodes of this year's season long "Star Trek: Enterprise" story arc, and people, after seeing our pre-Federation friends stop the nasty Reptilians from launching their Earth-shattering mega-weapon, only to be thrust back into time, with the situation set up for an upcoming battle next Fall with--NAZIS?! Nazis AND aliens?